The expansion of the universe produced by the stars in galaxies could explain the phenomenon of curvature of light in outer space without the need for dark matter. As well as processes of contraction and expansion of space of previous sections, other physical aspects have considerable repercussions on the structure of the Universe. There are two phenomena not discussed up until now. These are the similar velocities in general of the stars in galaxies and some effects of gravitational lensing that the existence of a large quantity of mass could explain them, but this mass persists without detection. Consequently, to explain both cases, scientists consider the possible existence of dark matter. 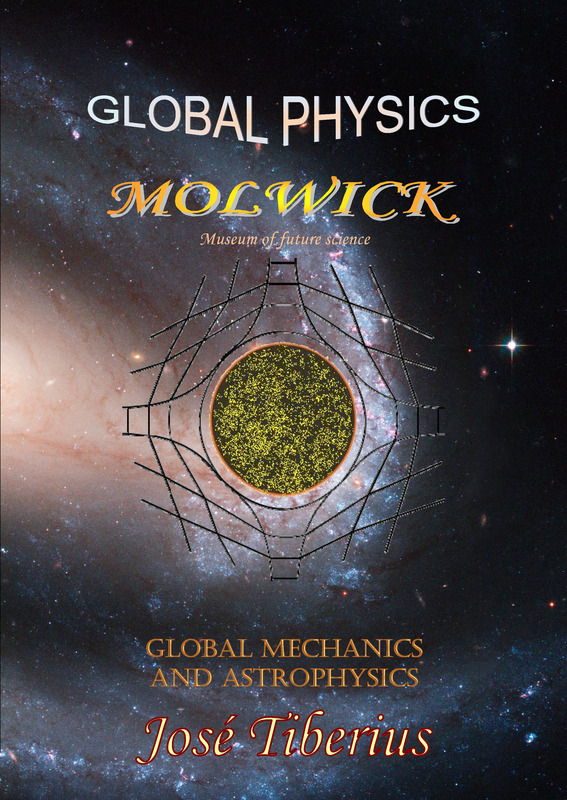 In this case, the model of Global Astrophysics –part of the Global Physics– attempts to contribute new ideas to explain dark matter in the Universe and strange behavior of stars in rotation of the galaxies. We must keep in mind that Astrophysics is a very imaginative science; not only because of limitations in observations but also their interpretation. In other words, 95% of the mass/energy of the universe has no explanation. What’s more, Modern Astrophysics remains stuck in its metaphysical doubts and questions; on the one hand, its central theory is Einstein’s General Relativity; but on the other, it seems evident “vacuum” is not empty, and that it has mechanical properties. That something could be quantum foam, ropes, or what Global Physics denominates Global Aether. In addition to gravitational lensing effect without mass, and to the problem of rotation of the stars in galaxies, we are going to discuss the topic of antimatter, related to dark matter and the theories of the origin of the universe. We need to remark that section 1.d.3. Rotation of the galaxies includes a quantitative analysis of experimental data and very satisfactory results. Furthermore, as a novel consequence of second element of the atractis causa –Merlin effect– in the Global Gravity Law, we will study possible additional eccentricity of planetary orbits concerning classical and relativistic orbits. Throughout this book, we have mentioned on numerous occasions there are two types of electromagnetic energy and physical mass, depending on the transversal rotation they possess. In a three-dimensional Euclidean space –advocated by Global Physics–, there can only be two types of rotation in the direction of propagation of a transversal wave. Consequently, electromagnetic energy can be right-handed or left-handed. Similarly, given definition of physical mass in Global Mechanics, there will be two types of mass –matter and antimatter– formed by a confluence of right-handed and left-handed electromagnetic energy, respectively. Thus, regular mass in our galaxy configures matter and antimatter will have different transversal torsion. As would be expected, the lifetime of antimatter on our planet is very short; it is very unstable because opposite electromagnetic tension is all over around. Maintaining particles of antimatter is a very costly process, as they need powerful electromagnetic fields of correct transversal torsion. Theoretically, a proton of antimatter, if adequately isolated from ordinary matter, should be as stable as a standard proton. Again, the whole description of antimatter fits perfectly with the concept of mass in Global Mechanics. In a hypothetical initial situation of the Universe without any electromagnetic torsion or any matter or antimatter, any rotation or torsion of the reticular structure of matter –global, gravitational or kinetic aether– will produce right-handed electromagnetic waves in one sense and left-handed waves in opposite sense in the same direction. Just as magnetic monopoles do not exist, due to the mechanisms that create mass and to Law of Large Numbers, there should be an equal quantity of antimatter and ordinary matter –matter visible to us– in the Universe. Recently, there has been talking about the possible existence of magnetic monopoles; however, this is most likely just a figure of speech, as the absent pole is probably at an inferior level. That is to say; its magnetism will end directly in the Global Aether, without detection by current technology. The matter would be predominant in some regions of outer space, and antimatter in others. 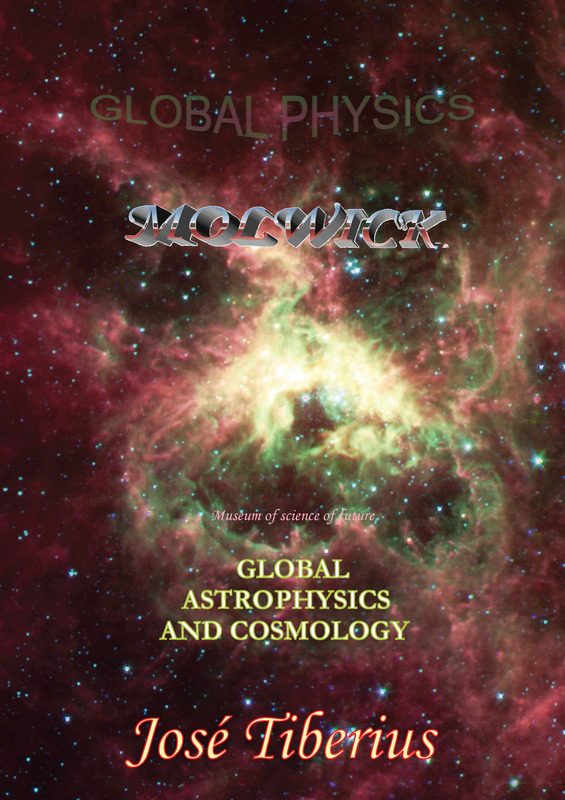 The book Physics and Global Dynamics analyzes gravitational lensing provoked by large masses. Gravitational potential energy produces curvature of light and Merlin effect doubles the effect of Newton’s Law of Universal Gravitation for both kinetic and electromagnetic energy. Given the mass required to produce this effect is not visible, there are various opinions regarding whether it is antimatter or normal matter. The gravitational field is independent of right-handed or left-handed nature of mass; thus, the same curvature of light would appear in both cases. When there is not enough mass or we do not detect it, dark matter provides an additional explanation for the effects of gravitational interaction on the trajectory of light. Other explanations could be the existence of many black holes or weird particles with mass, like WIMPS. However, we consider these options are very unlikely, due to the spatial distribution they should have. One of those supersymmetric particles has a unique theoretical attraction because it is the best candidate to constitute the mysterious dark matter of the Universe. Now, let us see the most likely cause of this strange phenomenon in Global Physics. 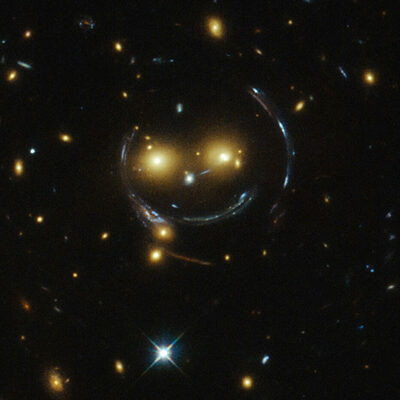 Of course, if we are going to speculate, the most probable cause for gravitational lensing could be merely the result of variations in the longitudinal tension of the Global Aether, changes in its spatial configuration at a large scale, or even phenomena of drag of light due to displacements of luminiferous aether –gravitational field. Surely luminiferous aether is not only gravity field –tension of longitudinal curvature of the Global Aether– but also the longitudinal tension itself. Intergalactic dark energy will have a non-uniform distribution due to the mechanisms discussed in the previous subsection 1.c.2.b) Dark Energy in Global Physics. Following those mechanisms, dark energy will appear in regions where there is a significant concentration of stars, in other words, in the galaxies. In addition to said non-uniformity. Other curious effects will take place in intergalactic space due to the existence of black holes in the galaxies and to a different distribution of its stars. Let us assume a region of three-dimensional space surrounded by 20 more or less distant galaxies. All these galaxies will produce an expansion of the Global Aether; thus, the longitudinal tension of the filaments of Global Aether will be smaller in this region, until the galaxies separate due to the tendency towards equilibrium. These adjustment processes will happen throughout every section of the local Universe, resulting in its expansion. However, along the whole process will be irregularities in the longitudinal tension of the filaments, and these will affect gravity, intergalactic electromagnetic fields, and gravitational lensing. The irregularities will occur at different scales, not only in intergalactic space but also in clusters of galaxies and superstructures of clusters. Another speculative aspect would be that the existence of barred galaxies might be a sign of the different longitudinal stress of the Global Aether –or space-time with mechanical properties– in large scales.